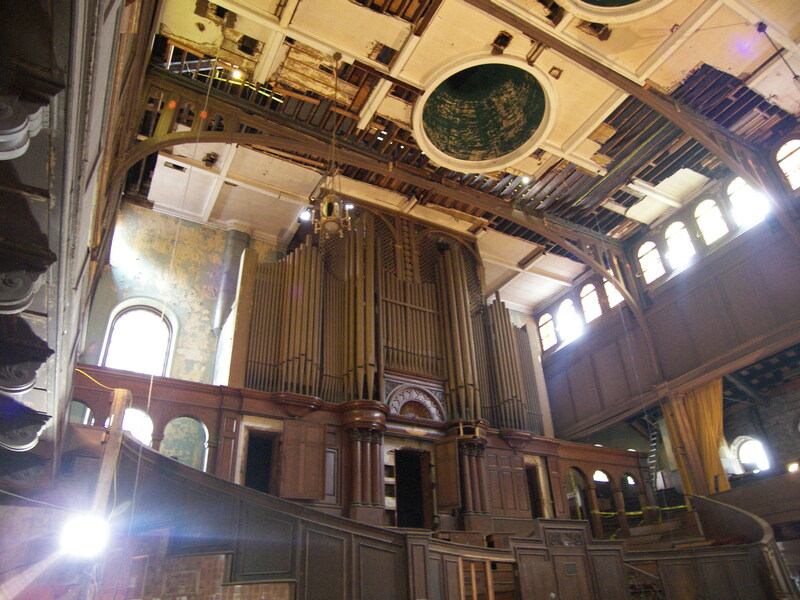 Although it is now touted as the “symbolic home” of Temple University, since the 1970s the Baptist Temple on the southwest corner of Berks and Broad had suffered from a quasi-official policy of salutary neglect. Some have gone so far as to sugest that it was the approach of former Temple University president Peter J. Liacouras (1981-2000) to look the other way as the historic cradle of the university mouldered into the ground. While this is unknown, Temple has come around to the idea of adapting (while not preserving) the internal space where charismatic Russell H. Conwell taught a handful of “night owls” seeking upward advancement.